Four levels of credentialing are offered – Provisional, Basic, Intermediate and Advanced-for all of which eligibility is based upon minimum requirements. Applications are accepted twice annually (deadlines: April 1 – 30 and October 1 – 31) and will be reviewed in May and November. 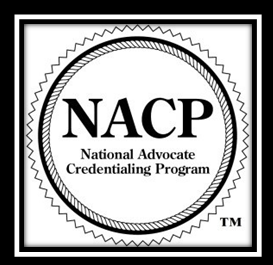 The NACP is voluntary and open to any individual who provides (or plans to provide) services to those victimized by crime, whether as paid or volunteer staff, and whether or not they have a formal education or degree. The program is inclusive rather than exclusive and voluntary rather than mandatory.